Decadent and moreish, this Rheum e-liquid by Digbys e-liquid is a must-try for fans of dessert flavours. An indulgent custard e-liquid, Rheum is a flavour rich in vanilla custard notes as well as the sharp and satisfying tang of rhubarb. Like a beautifully homemade and freshly baked rhubarb and vanilla crumble, this Rheum e-liquid is perfectly balanced and wonderfully rich. 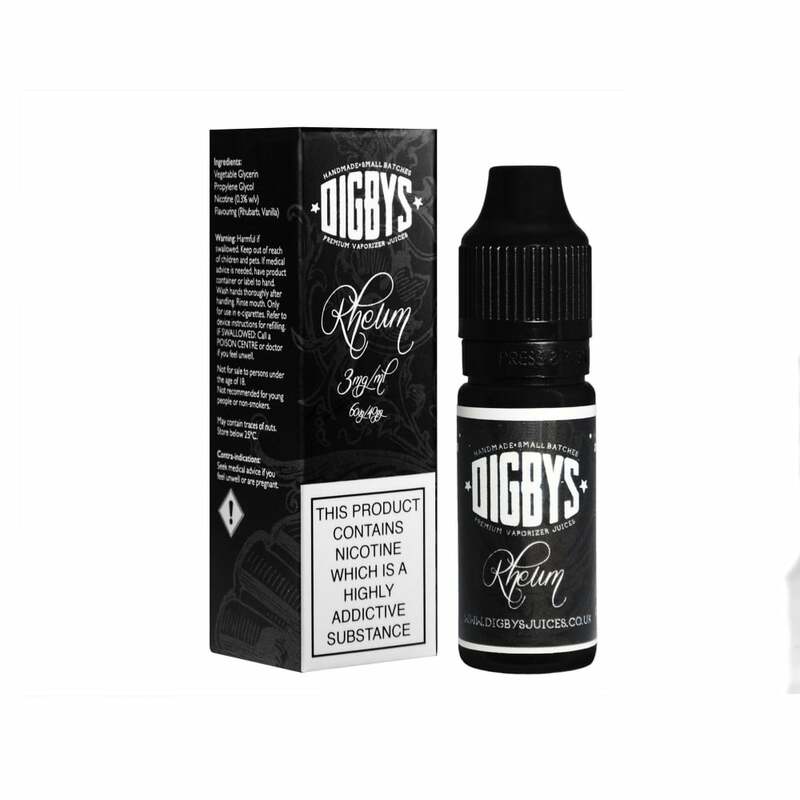 Rheum by Digbys e-liquid is a premium flavour with a 60% high VG formula. This makes it a great choice for sub ohm vapers and ensures the intensity of the flavour in maintained from inhale to exhale and beyond.